Christmas and Thanksgiving are my favorite holidays. I love the encouraged laziness. I love that drinking before noon becomes socially acceptable. I love the twinkly lights. Mostly I adore that comfort food is such a dominant part of the celebration. Mashed potatoes, stuffing, macaroni and cheese, gravy, pies, cookies, roast meats. The best part? The leftovers last for days. Some might find this to be a burden. 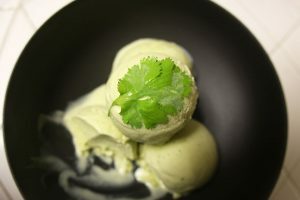 Some may be looking for new and interesting ways to make over their leftovers until unrecognizable. Tacos, tetrazzinis, soups, skillets, oh my. However, I look to the almighty leftovers sandwich! It’s faster than a casserole, more powerful than a turkey taco, able to leap over turkey soup in a single bound and it combines all the best holiday foods into one neat package. 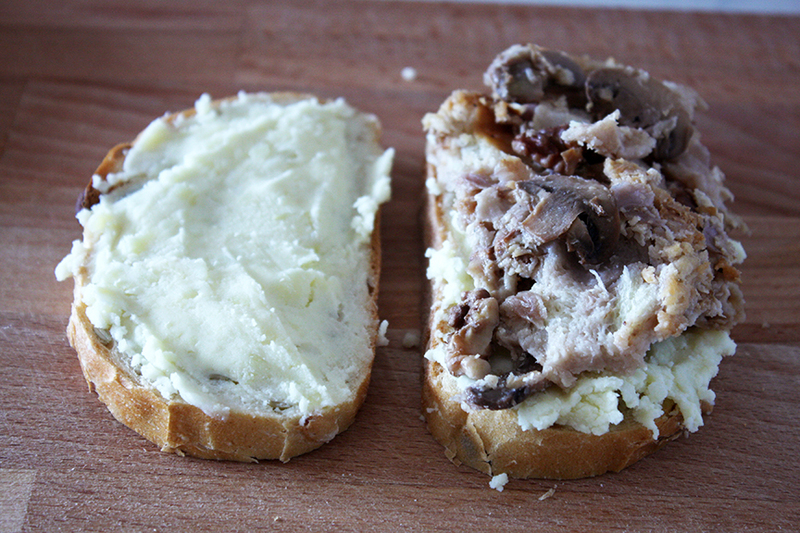 Building the perfect leftovers sandwich is not for the faint of heart. 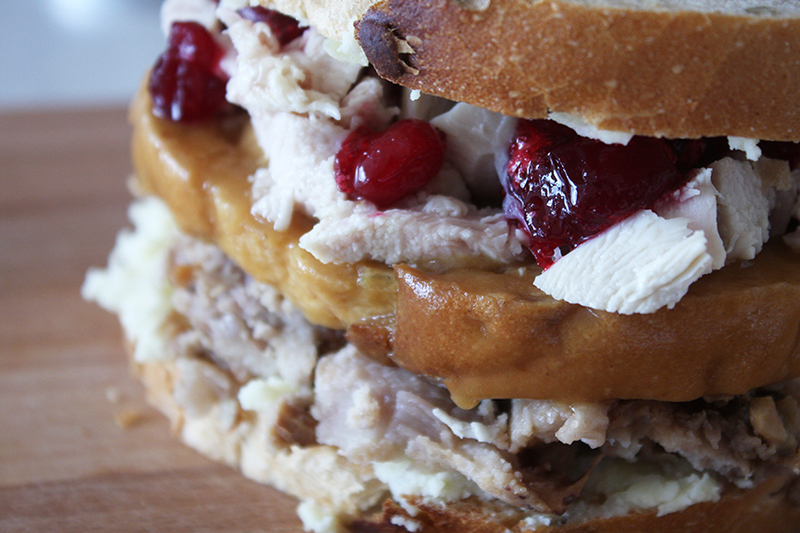 It is more than piling all your holiday accoutrement high between two pieces of bread. The architecture, insulation, proportions and foundation must be considered. Otherwise, you’ll bite into your sandwich and stuffing will slide out the other side. Or when you heat up your sandwich, your turkey will dry out. Or, god forbid, the wrong bread was selected causing it to disintegrate under the weight of the fillings leading to utter sandwich disaster and possibly a few new shirt stains. It doesn’t have to be this way. 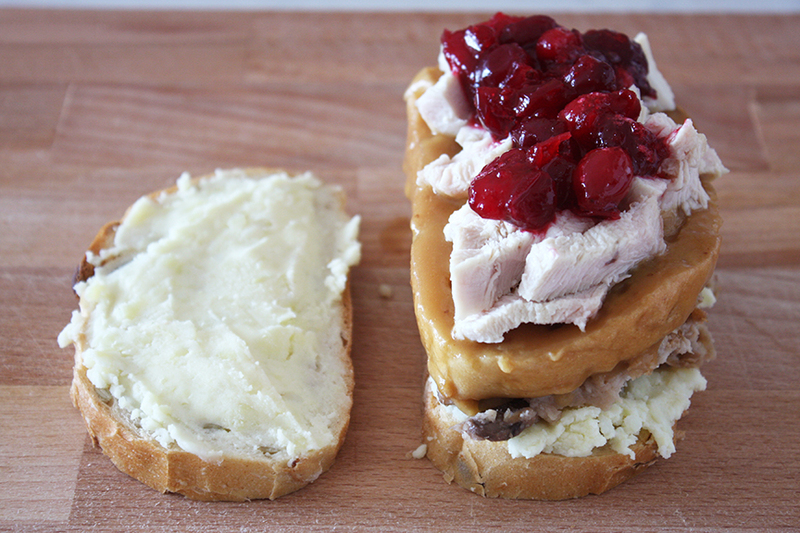 You too can construct a leftovers sandwich that will stand the test of time…or until you gobble it up at least. Let’s talk sandwich architecture. The bread you select is the most important part of your sandwich. Even if all of the other sandwich layers are perfectly proportioned and stacked, faulty bread can bring the whole thing down leaving you to eat your sandwich with a fork. The bread must be firm, but not too firm. 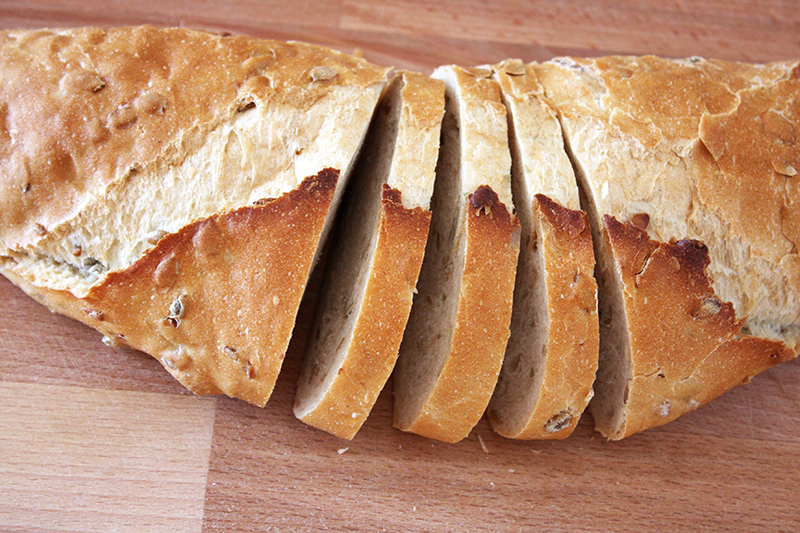 The bread should be able to absorb moisture without falling apart. You should be able to bite straight through without struggle. Thick crusts are not our friend here. While you’re fighting to bite through that crust, cranberries dripped onto your shirt. The crumb should be fine, not too porous. I know ciabatta sounds like a good idea, but it isn’t. Big holes will give you a leaky sandwich, and thus a bad foundation. 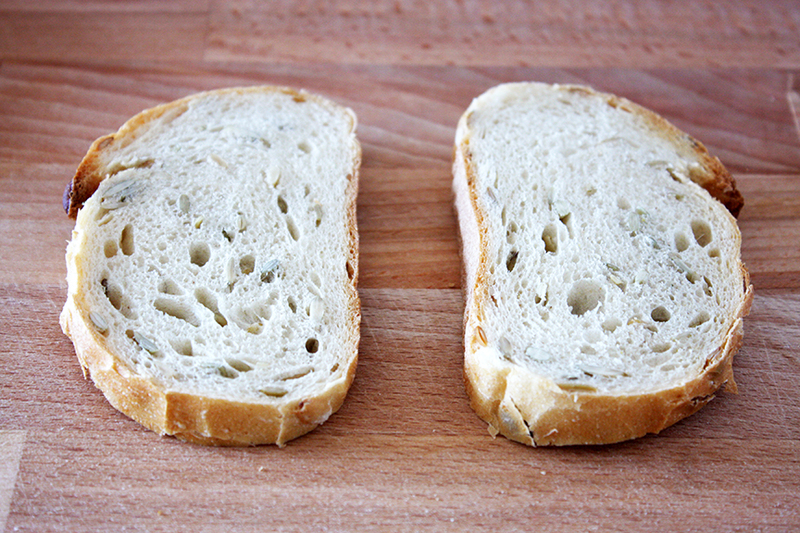 For one sandwich, you’ll need 3 slices of bread about 3/4 to 1″ thick. Set one piece of bread aside. We’ll be working with only two slices for now. Once we have our bread in place, we need to add the insulation. 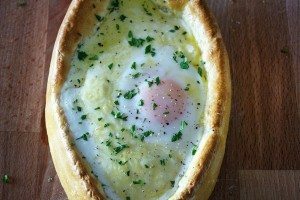 Mashed potatoes are perfect for this as they not only glue themselves to the bread preventing unnecessarily sliding, but they also help hold the fillings in place and hold in the warmth of the overall sandwich. 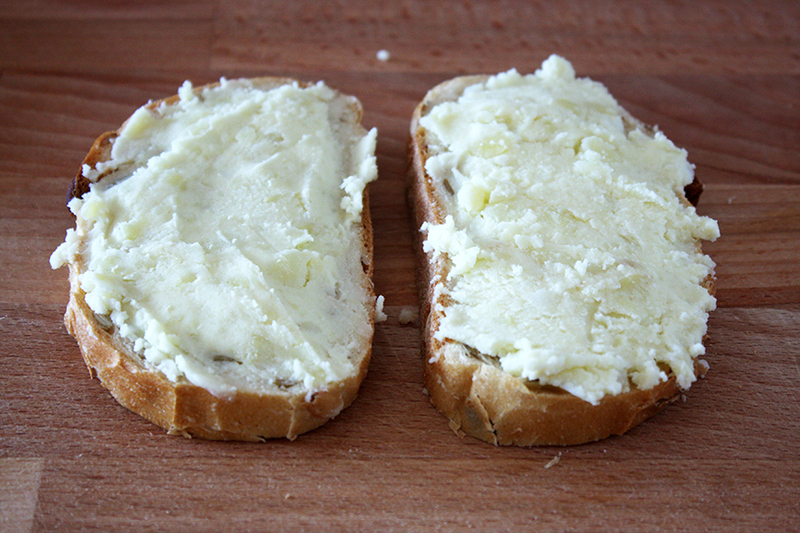 Schmear the two slices of bread with mashed potatoes, about 2 spoonfuls on each slice. Cover them completely. So we’ve got a solid foundation and insulated walls. Now it’s time to start layering the other leftovers. First goes the stuffing. Stuffing can be bulky, so don’t get greedy here. Just put about a 3/4″ layer of stuffing across one slice of bread on top of the potatoes. I used my grandmother’s yankee bread dressing recipe with lots of mushrooms, celery root, toasted walnuts, homemade turkey stock and nutmeg. We’re halfway through the build, and it’s time to add some moisture. The gravy helps keep everything in your sandwich from drying out while also providing us rich gravy decadence. Man, I love gravy. These days, it’s running straight into my veins via IV. Gravy is inseparable from a truly excellent leftovers sandwich, but it can be a troublemaker. If you just pour it on, it’ll drip and glop all over you taking all of your delicious fillings with it. The gravy must be controlled. 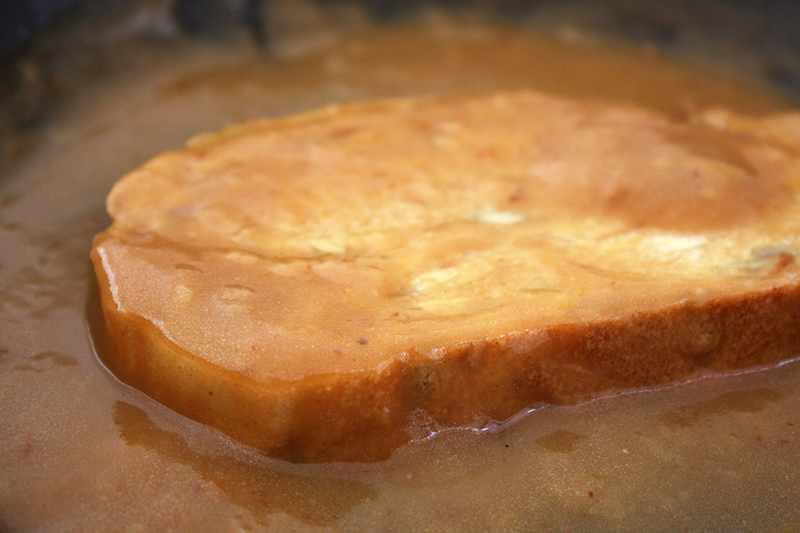 The best way to do that is to create a gravy vehicle; a gravy sponge, if you will. In comes that mysterious 3rd slice of bread. Heat up your gravy and stick that puppy right in the pan. Stir it around, flip it over, get it nicely soaked in gravy then plop it on top of the stuffing. This is where I got the idea for this Moist Maker. If you don’t like bread, this sandwich isn’t for you. Time for the turkey. I recommend cutting up your turkey into small pieces. We want to minimize struggle as much as possible. Wrestling with a big hunk of roast turkey is not worth it and will likely pull all of your sandwich innards out with it, which we’d like to avoid. Again, don’t get overzealous with the quantity of turkey here. 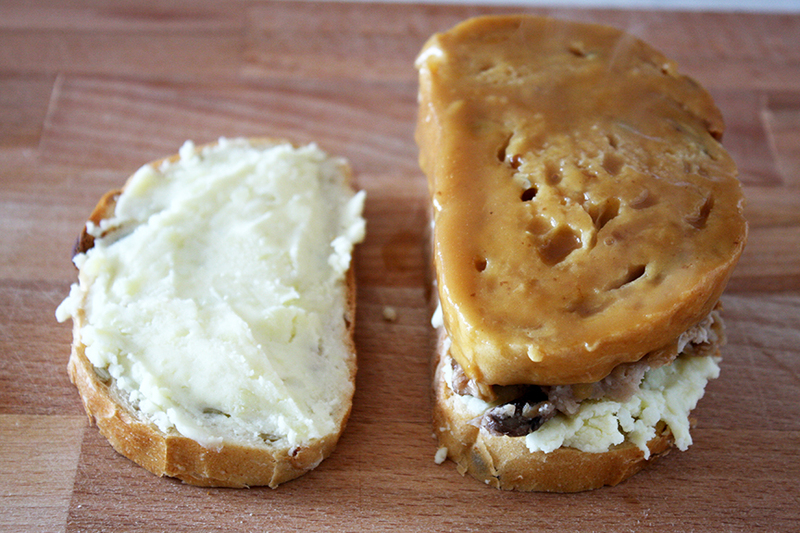 Just enough pieces to cover the surface of the gravy-soaked bread in one even layer. 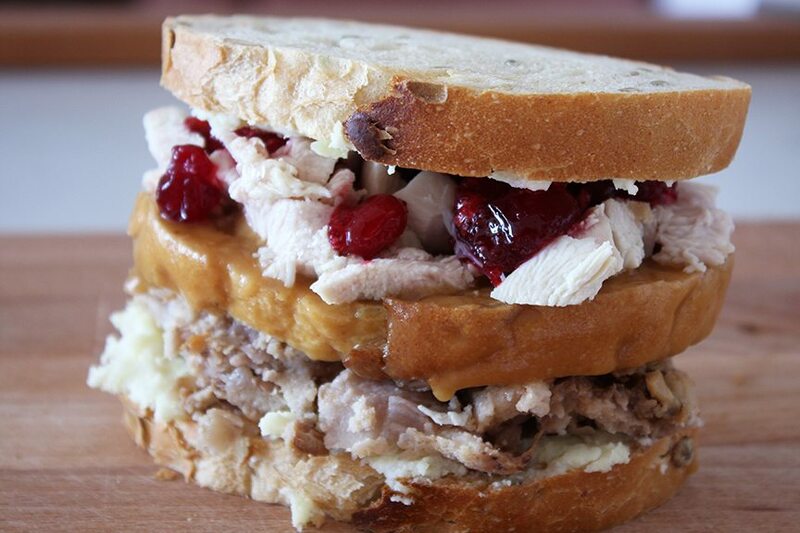 The turkey will sink into the warm bosom of the gravy-soaked bread keeping it moist and cozy. Now add the cranberries. 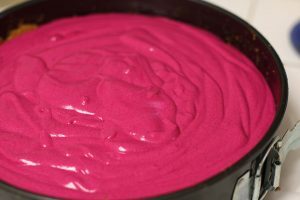 Whole cranberry pieces are best as the juice or “sauce” will merely confuse the issue. 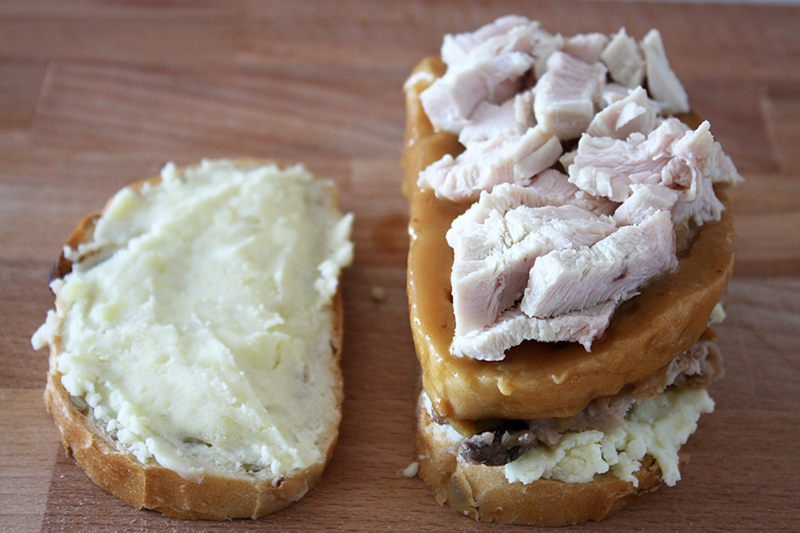 Take your other piece of mashed potato-laden bread and place it on top of the sandwich, potato-side in of course. Give it a little press to bring it all together. Time to turn on the electricity. Tightly wrap the sandwich in aluminum foil and warm in a 400F (200C) oven for 20 minutes. Remove the hot sandwich, unwrap and slice in half. Serve with more gravy for dipping. Just look at this monstrosity. It’s warm, inviting and calling out your name in desperation. EAT ME.